What a fantastic gig at the Leamington Assembly by the magnificent lady of the blues Joanne Shaw Taylor on Thursday 3rd July, she was on top form playing a fantastic selection from her 3 studio albums and especially enjoyed the material from her 2009 cracking debut album 'White Sugar'. This rates as one of my top ever Assembly shows, support Federal Charm also rocked up a storm and what a treat to have local lad and fellow blues wonder Laurence Jones make a special guest appearance, a night to remember. 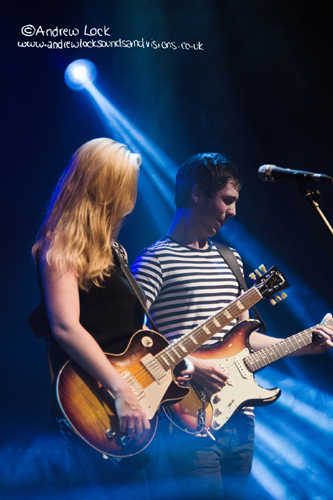 You can catch Laurence Jones at The Napton festival on Friday 11th July.